Renamed Galaxy Tab 10.1v to avoid confusion with the recently unveiled Galaxy Tab 10.1 at the 2011 CTIA trade show, the tablet has just been confirmed for Australia via Vodafone. Whereas the arrival of the smart tablet has been confirmed, no release date was announced but expected to hit shelves in mid-April. Unveiled recently at the Mobile World Congress (MWC 2011), the Galaxy Tab 10.1v would be exclusively available through Vodafone for three months with limited availability, Samsung Australia confirmed. You might be confused on the short duration of the tablet’s availability but as explained, the Galaxy Tab 10.1v is expected to be replaced by the new Galaxy Tab 10.1 and Galaxy Tab 8.9 tablets. We are excited to partner with Vodafone to launch this limited edition tablet as part of our expanding range of tablet devices. Samsung continually strives to deliver leading, first to market technologies and the Samsung Galaxy Tab 10.1v is no exception. 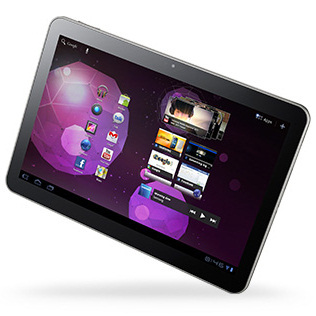 With the release, the Galaxy Tab 10.1v would be the first tablet to run on the Android Honeycomb platform. The tablet would be available for purchase for AU $729 off-contract with 6 GB of data or AU $259 plus AU $39 per month over 12 months, with a 1.5 GB per month of data-usage.